Emotions control much of what happens throughout both our individual lives and in the world. Entire wars have begun as a result of human emotions. We make decisions about whether to get married or divorced based on our emotions. Ideas and inventions, passions, and hobbies are all driven by emotion, part of our internal drive to change the way we feel. Emotional states affect our daily attitudes, thoughts, and behaviors. If we don’t take control of our emotional states, many other aspects of our lives will be out of control as well. Mastering your emotional states is an essential element to achieving success, contentment, fulfillment, and happiness. 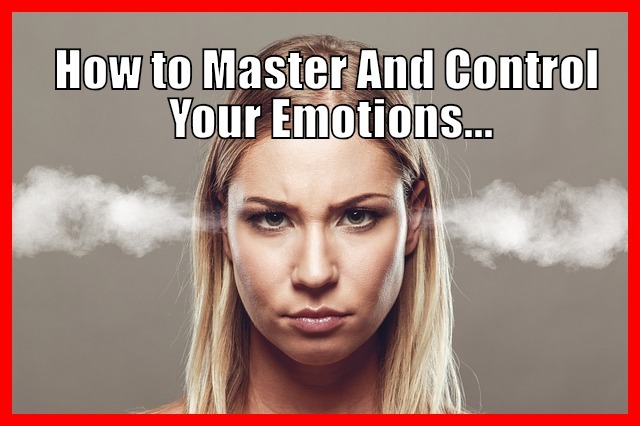 Learn how you can master your emotional states with the easy strategies in this guide. Everyone has one. Even you. There are individual differences in what people decide to do with their story. What enables one person to experience personal trauma and tragedy and then decide to use it to their advantage in life, while that same situation makes another person feel like life is not worth living? Some of the most incredible, happy people have experienced great personal tragedies. On the flip side, people with every advantage in the world sometimes squander it and spend their days in addiction rehab centers as a result of drugs and/or alcohol. Is the status quo in your life just the way it’s always been and there’s nothing that can change it? Or, on the other hand, is there some way that you can you use your experiences to propel you forward toward greater success and happiness? How? If your current story doesn’t serve you, then change it! Beginning to change your story involves figuring out the meaning of events and issues in your life. It also means challenging the current story you have in your head and figuring out your life’s purpose. Let your story encourage you to take action to make your dreams come true. When you’re living your life’s purpose, you’ll find greater contentment as you pursue your passions and arrange your life around what’s most important to you. Changing your story requires you to look back into your past. But what about the present? How do you control your emotions on a daily basis in your regular routines? For this part of your emotional mastery, practice self-awareness. There are certain automatic thoughts that all people have that go a long way in dictating their emotional states. For example, how do you feel when someone cuts you off on the highway? Do you allow yourself to become angry and upset? What about when you get a flat tire or you don’t get that promotion at work? Notice what you’re thinking. Monitoring your automatic thoughts and becoming aware of when these thoughts begin is critical to begin changing them. Assign a different meaning to things that bring on negative thoughts. For example, what does it mean when someone cuts you off on the highway? Instead of being angry, one way you can think about it is by reminding yourself that not all drivers are courteous as you think they should be. Plus, realize that you don’t know their situation. Perhaps they have an emergency. These new thoughts diffuse your anger so you can let it go and move on. When you control what’s going through your mind at any given moment, you’ve put yourself back in charge of your emotions. Just as you can adjust your story to support you, by practicing self-awareness you can alter your current thoughts to support you, too! Research has shown that gratitude goes a long way towards achieving a state of happiness. In fact, it’s hard not to be happy when you’re feeling grateful. When you live in a state of gratitude, you’re also more likely to show prosocial, helping behaviors. Others tend to reciprocate such behaviors, and you end up with a circle of greater happiness for everyone involved! You can practice gratefulness in many different ways. Reflection. Spend five to ten minutes in quiet meditation and focus on the different things you’re grateful for in your life. Uplift someone. Another is by going out of your way each day to compliment or thank someone, without expecting any recognition in return. Help others. Spend time volunteering at food pantries or homeless shelters. When we start taking small steps on a regular, daily basis to take control of our emotional states, we become more skilled in emotional fitness. Emotional fitness and awareness cultivates maturity, astuteness, and success, and can make a positive difference in your overall quality of life.